Another one! I wanted to do another walk cycle but I wanted to challenge myself too, so there's a BILLION THINGS GOING ON. It's been a while since I've animated anything substantial, so I've been easing myself back in with some walk/run cycles. And then I decided I wanted to link a few of 'em up! Still noodling around with digital art styles - kept this one kinda messy. 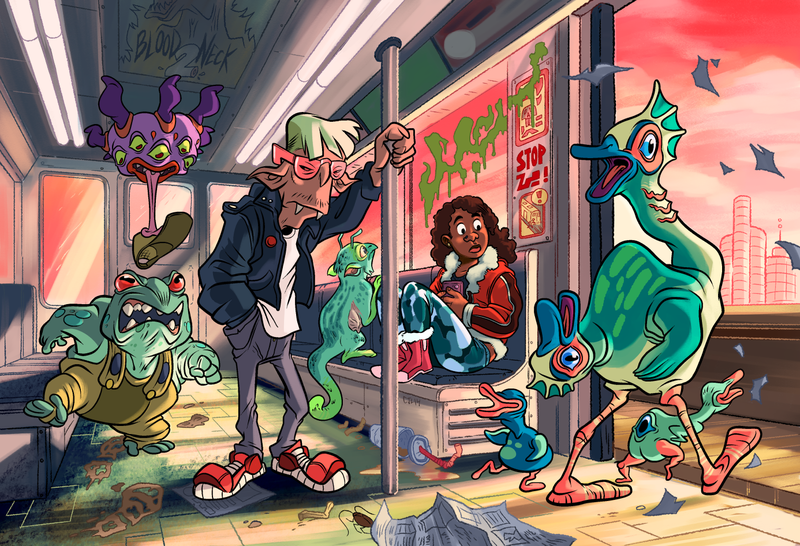 Anyway, I REALLY MISS riding public transit. I complained about it INCESSANTLY at times, but there's really nothing like a 40 minute train ride at the start of your day to help sort out your thoughts. Another manga studio 5 piece. Thought I'd let the background lineart stay intact for a change. OKAY. Here's where things get sort of messy. 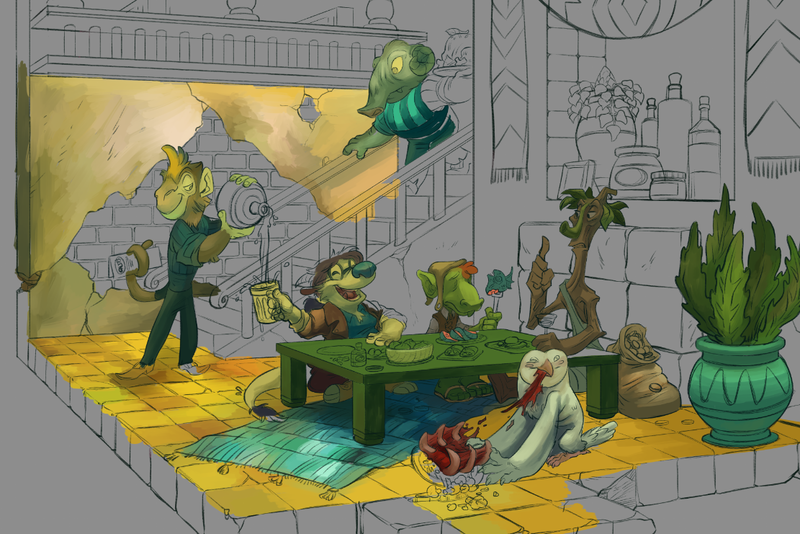 After the rough lineart is done (keeping the lineart for the characters and background separate) I started plopping down color in big patches using the color thumbnail as a guide. 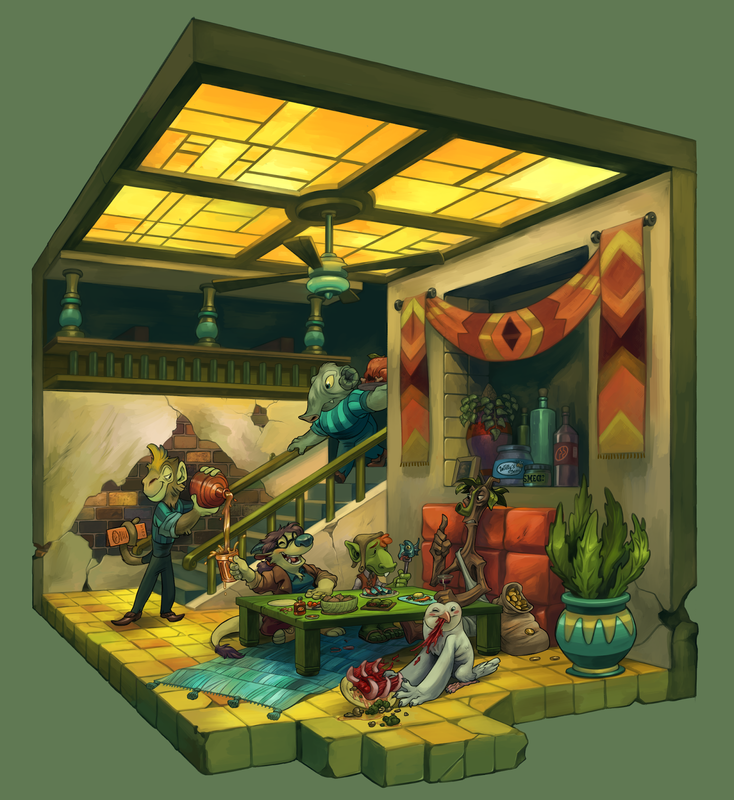 Like picking a color palette, I feel this is a stage that mostly falls down to personal preference - I kept the brushwork loose and splotchy in places like the walls and floor, but got a bit more fussy with the characters. 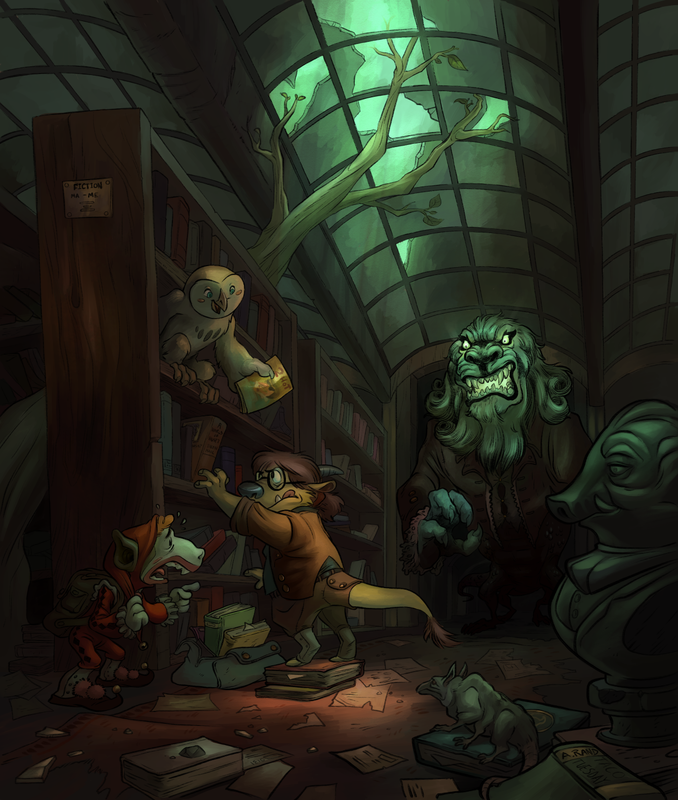 My major concern at this stage was keeping the characters and objects readable while also keeping the brushwork pretty vibrant and natural feeling. 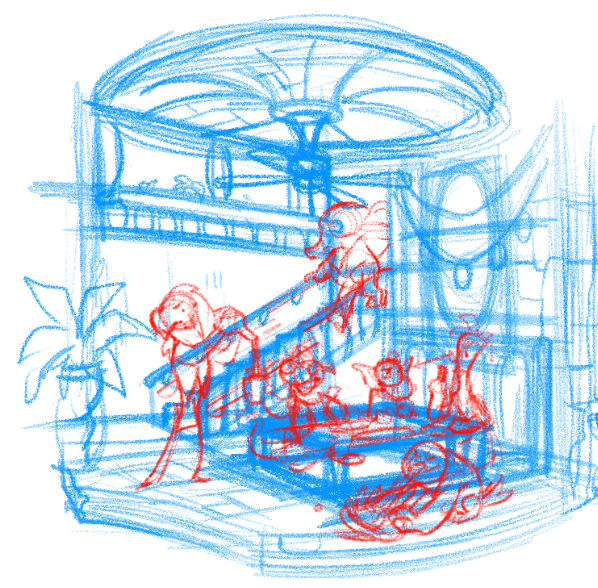 I started off with a rough sketch like so - at this point I really only had a hazy idea of what I wanted going on in the background. Drawings and paintings by a lifelong weirdo.